See pairs of Fulmars breed on the surrounding cliffs in summer, Oystercatchers feeding along the rocky shore, or a Peregrine Falcon patrolling the skies. Many shipwrecks have been recorded here, as far back 17th century, the most infamous being the paddle-steamer Killarney which left Cork for Bristol in 1838 when survivors clung to a pinnacle of rock for two days awaiting rescue. 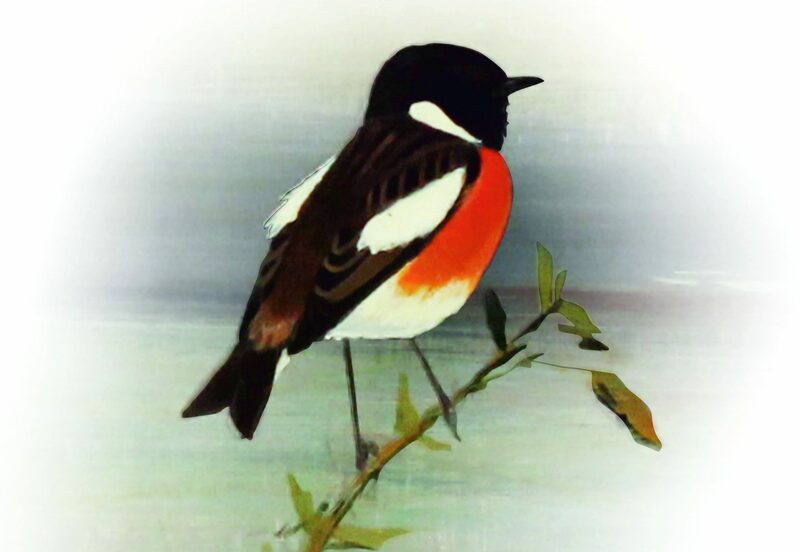 Please see opposite an image of a Stonechat, which may be seen here at Rocky Bay.